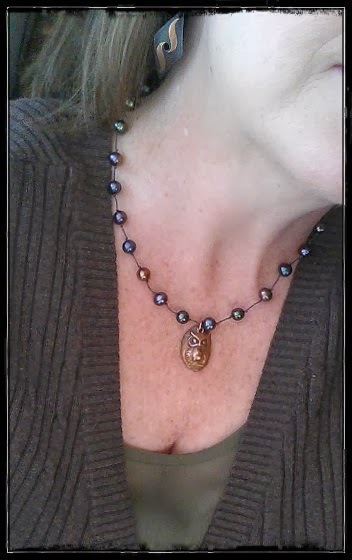 It's time to share more "Jewelry of the Day" shots. 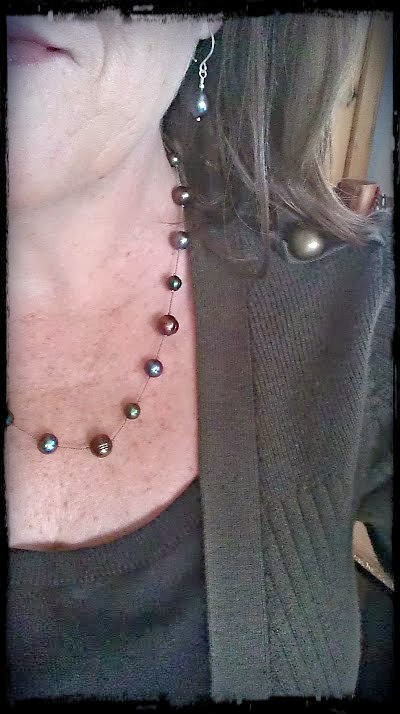 Last week was pretty much all about pearls. No surprise for you there. 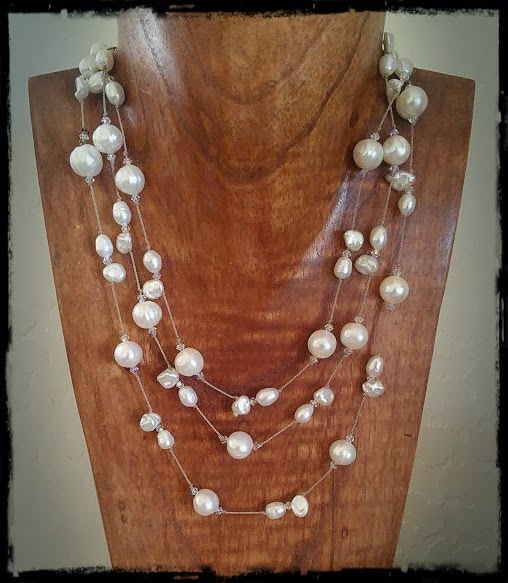 I mean, when is it not about pearls for me, right? Even though my day-job is based out of my home, I still dress for work. I'm always pretty casual (jeans or long skirts can be seen most days) but I come to work 'put together' and of course that means jewelry. I used to wear the same jewelry day in and day out, but for the past several months I've been wearing more of the jewelry that's in my collection (mine and other designers) and trying different styles and colors to see what works and what doesn't for me. It's been fun and a bit of an eye-opener, too. I am still very much a 'Plain Jane' though. 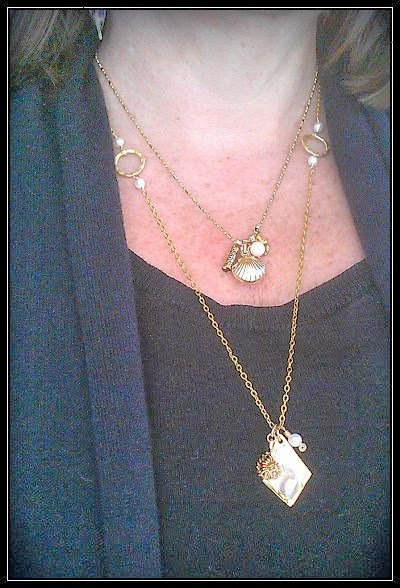 Not straying too far from my 'jewelry comfort zone'. 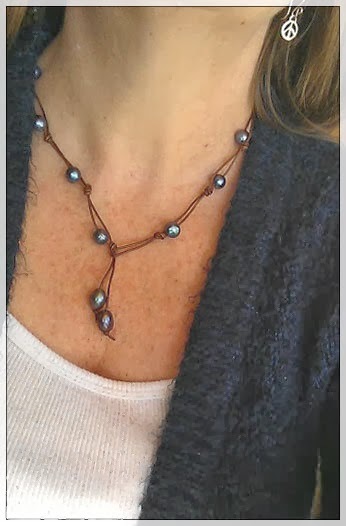 I've also got a Jewelry of the Day board over on Pinterest. And then there's always Facebook. You'll catch shots there every once in a while, too. I really gotta quit messing around w/overlays, etc. on Pixlr! LOL!! Please, join in the fun and post pics back. I'd love to see what Jewelry you're wearing for the day! Very pretty - I like them all very much! Love them all! I admire you for "dressing for work" at home - I DO NOT do that...and I should!